The majority of visitors come from Australia. Topics: A-league, Socceroos, Westfield Matildas, and Leagues. On average 3.80 pages are viewed each, by the estimated 234 daily visitors. It has 3 DNS records, ns.domainnetwork.se, ns2.domainnetwork.se, and ns3.domainnetwork.com. It is hosted by Amazon.com Inc (Washington, Seattle,) using nginx web server. 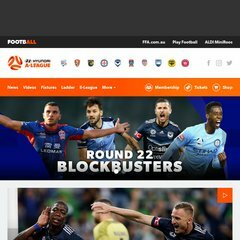 A-league.com.au's IP address is 184.72.43.105. Its average load time is 715 milliseconds, which is faster than 84% of websites globally.